Tim Chester takes a look at what the Bible says about the practical issues modern marriages face and how our understanding of the Gospel can help shape the way we deal with them. If you or someone you know is looking to make sense of the everyday demands of modern living in this fast paced unforgiving society then grab a copy today. Simply use code gcm2203 at the checkout or on the phone to get this book with 35% off. In the light of continuing discussion this week about the Biblical view of marriage, here's an excellent book on the subject, that you can pick up for 40% off. 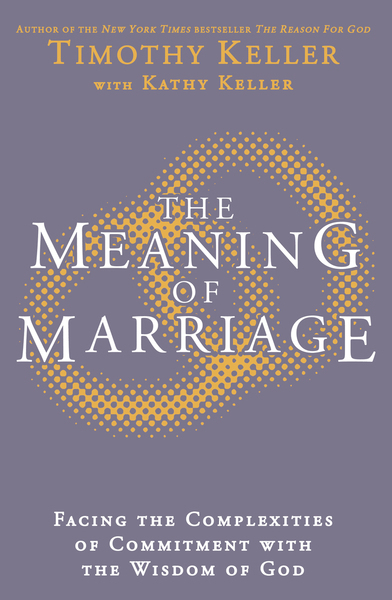 The Meaning of Marriage by Timothy Keller, draws a profound portrait of marriage from the pages of Scripture that neither idealises nor rejects the institution but points us back to the relationship between God and man. 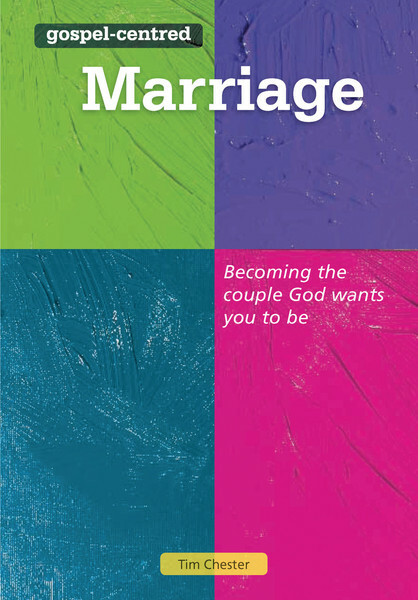 The result is a vision for marriage that is refreshingly frank and unsentimental, yet hopeful and beautiful. It retails for £12.99 but you can pick it up for the next 72 hours for only £7.79, saving 40%. Use code marriage at checkout. 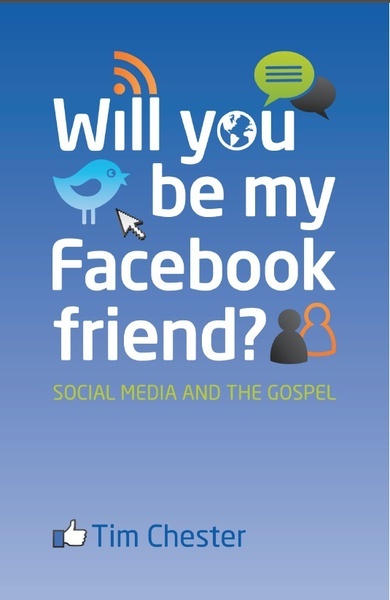 Tim Chester has just released a great little book called Will you be my Facebook friend? in which he addresses the joys and perils of this social networking phenomenon. You can pick up a copy for just £2 for the next 72 hours. Just use the code fbfriend at checkout. This weekend we're offering our blog readers an amazing deal on all Good Book Guides. Just £2 each! Ideal for study in groups or personal use, these guides will help you dig into the Bible. So grab a bargain for yourself or your Bible-study group today. Simply tap in the code guide13 at checkout. It's not too late to plan for the new year and get your daily Bible reading notes with our great 10% discount. "Having participated in Bible studies for over 30 years, I find the Explore notes to be the most helpful in that they help with our daily walk in the Christian faith. The format is very user-friendly." "I find reading Explore notes is a good discipline, it is challenging, it is healthy, it is addictive!" "I don't think there is any shame in saying that the Bible is a daunting challenging read! In my experience, the Explore notes have been a fantastic companion guide. It provides an understandable and accessible entry point to the Bible." Personal Bible reading is a great way to grow in knowledge, fall deeper in love with the Lord and get equipped for service. So why not start the new year as you mean to go on - with a structured daily Bible reading plan in place? From now until January 1st, all our blog readers can order copies of XTB,Table Talk, Discover, Engage and Explore with a 10% discount. Simply enter the code dailyreading10 when you get to the checkout and enjoy opening up the Bible in 2013. Simply use the code lastminute at the checkout. Packs of 6 Christmas Cards 20% Off! If you're anything like me, you may not have got very far with your Christmas card buying and writing this year. But don't despair! Our Friday offer this week may be just be the spur you need. Pick up packs of 6 Christmas cards for just £2 (usual price £2.50). Simply tap in the code cards at the checkout and enjoy sending a message of good news this Christmas. Last chance to get your Advent Calendar! December 1st is nearly here. Soon children around the world will be eagerly looking forward to opening a door each day and discovering something exciting. For some, the excitement will come from a small and swiftly gobbled piece of chocolate. For others, that excitement will be focused on Jesus as they work through a calendar that helps bring the real meaning of Christmas to life. If you haven't bought a calendar for your children - or if you've been meaning to buy one for friends' children but haven't quite got round to it yet - and you'd like to help them engage with God's word this season, why not grab a bargain this weekend? Usual price: £4.99 - now just £3.49. Just use the code calendar at the checkout.